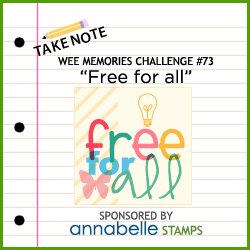 Wee Memories Scrappy Saturday: Challenge #73 - Free For All. A gorgeous treat bag. Thank you so much for entering my Halloween challenge at ALLSORTS this week, good luck & hope you’ll join us again!